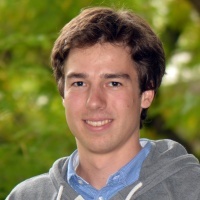 Manuel joined The Interface Group in October 2013 as a PhD student after graduating from ETH Zurich with a master’s degree in mechanical engineering. The goal of his PhD research was the development of a novel type of hydrocephalus shunt, which uses active components to improve the treatment of hydrocephalus. This included the mathematical modeling of cerebrospinal fluid dynamics, the development of suitable electrical and mechanical components as well as the application of control theory. His research project was a joint project between The Interface Group and the Institute for Dynamic Systems and Control of the ETH Zurich. Manuel successfully completed his PhD in May 2017. He is now working as development engineer in the automotive industry. How can I use my BibTeX library in MS Word?